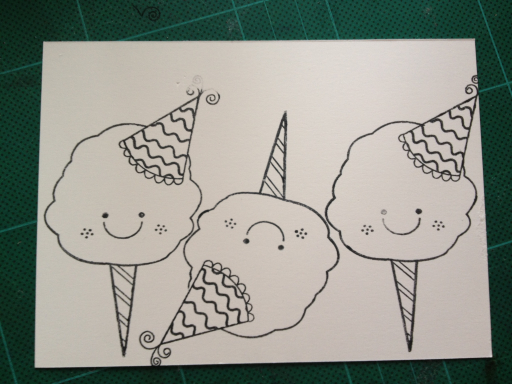 Me and my soon to be 4-year old girl are making cards for her party next week. 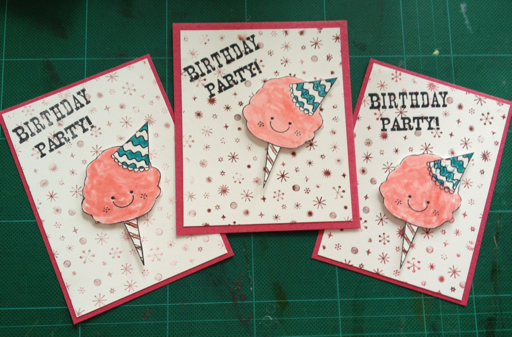 Wanted to use my new stamps from Hero Arts, so first I stamped the cotton candy and the party hat (masked it first) from the Life of the Party Birthday with Tuxedo black. 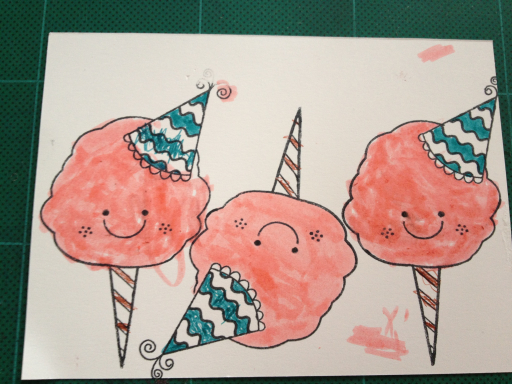 Then Nellie got to color the cotton candy with my new Distress markers (for once she got to use my pens ;-)). 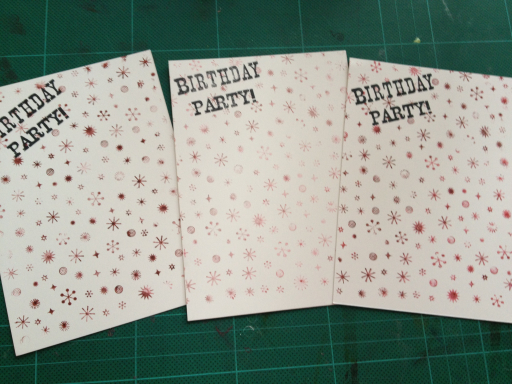 Meanwhile I painted the Tiny flakes bg with red/pink markers and stamped it on a white card. Stamped twice on one inking to see the difference. After that I stamped the text with Tuxedo black. I put the cotton candy on 3D foam, cropped it some, and glued the card on a pink base. These are so cute, Marina! I love how you got your daughter to make her own invitations. They are fabulous! You are brave to let your daughter use your distress markers. My son is also turning four next month but he'd crush the nibs in an instant. LOL!